SuAnn White has been a residency program coordinator at the University of Oklahoma College of Medicine since 2009. She started her career on campus in Student Affairs handling medical student scheduling in 2007. She and her husband, Chuck, reside in a historical section of Oklahoma City and spend a lot of free time working to restore their home that was built in 1933. She has many four legged children which bring much love and enjoyment to her life. ​Donna Heyduk has been an employee at Main Line Health System since 2005. Previously, she managed the Continuing Medical Education for the system and in 2012 she joined the General Surgery Residency program. Donna and her husband Bob have 3 grown children and 2 dogs they enjoy spending their time with. When Donna is not sitting by the phone waiting for her oldest son to call (who is serving in the US Navy) she enjoys crocheting, cooking and traveling. Lisa Olson has been the Program Manager of the Medical College of Wisconsin’s General Surgery Residency program since December of 2013 and an employee of MCW since October of 2007. She began as a Program Coordinator for the Healthier Wisconsin Partnership Program and more recently was in the position of Program Manager for Community Pediatrics, working with second-year Pediatric Residents. Lisa has a BS in English and Communication and is currently pursuing her MBA with a concentration in Healthcare Management. Lisa is also involved with GME at a local level, serving as the Program Coordinator representative to the Housestaff Health and Welfare Committee at her institution. She and her husband, Ben, have two sons, Jay 24 and Zach 20. Lisa enjoys the Green Bay Packers, training for various community runs, and spending time with her family and friends. 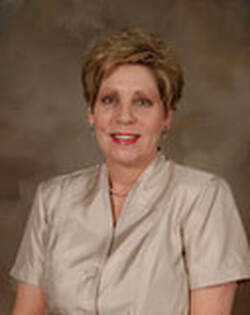 Dorothy Dickenson began her employment at the University of South Alabama with the Department of Radiology in 2007. In 2012, she managed the surgery clerkship program than became the residency program coordinator in the same year. Prior to joining the University, she was a Senior Researcher with the Proctor and Gamble Company in Bethel Connecticut for 8 years. Dorothy is originally from Brooklyn, New York. She is currently finishing her BA in Organizational Leadership at Columbia Southern University and has plans to pursue her TAGME certification next year. She and her husband, Shun have 3 grown children and 4 adorable grandchildren. They spend a lot of time doing evangelistically work with their church. She enjoys traveling, home remodeling, and reading. Brianne Leigh Nickel has been involved in Graduate Medical Education since 2008, starting out as a Data Quality Coordinator and assisting the Family Medicine Residency program at University of Louisville. In 2010, she transitioned to a full time residency coordinator role at University of Louisville in the Department of Neurosurgery. Upon completion of her Master's Degree in Higher Education, she moved back to her home state of Indiana, where she has worked with the Department of Surgery as the General Surgery Residency Coordinator since 2012. In addition to her program coordinator role at Indiana University, she is also the Director of Surgical Education Administration, overseeing all program coordinator and education administrative staff members within the Department of Surgery. When she isn't working, she is spending time with her two favorite people, her nephews Calvin and Graham. Brianne also enjoys reading, writing, graphic design, and a good Netflix binge. ​Darlene Norton has been the residency coordinator for the Greenville Health System, Ramage Center for Teaching and Learning, Department of Surgery, since 2010. She has over 24 years of experience in graduate medical education. She served on the Board of Directors for the Association of Family Medicine Administration from 2006-2011. In 2009, she served as President. She and husband, Myron, have two children, Michael 28 and Melissa 24. She enjoys reading, music and spending time with family and friends.